MOSELEY, Va. -- An unlikely friendship has formed at a zoo in Virginia. 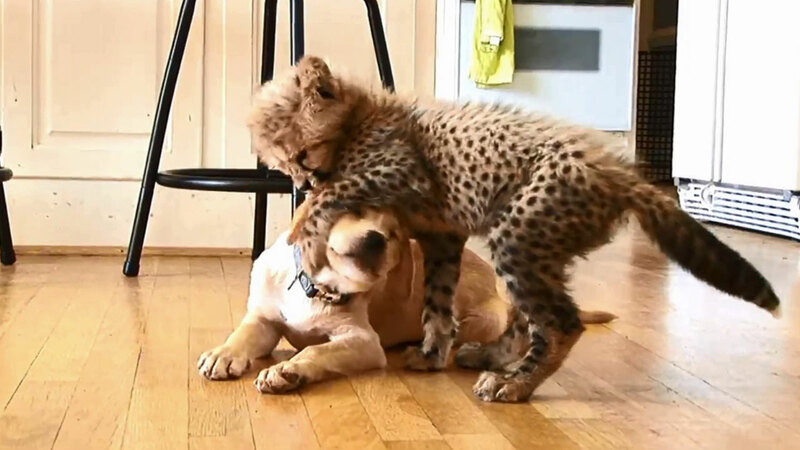 A cheetah cub named Kumbali and a Labrador puppy named Kago live together as if they were brothers. Kumbali was born at the zoo earlier this year. He had to be pulled from his mother to be bottle fed because she was not producing enough milk. Because Kumbali could not be reintroduced to his family, the Metro-Richmond Zoo adopted Kago in July. Since then, the pair have become fast friends, and zoo officials say they're "inseparable."